My today's post is on a beauty article.. 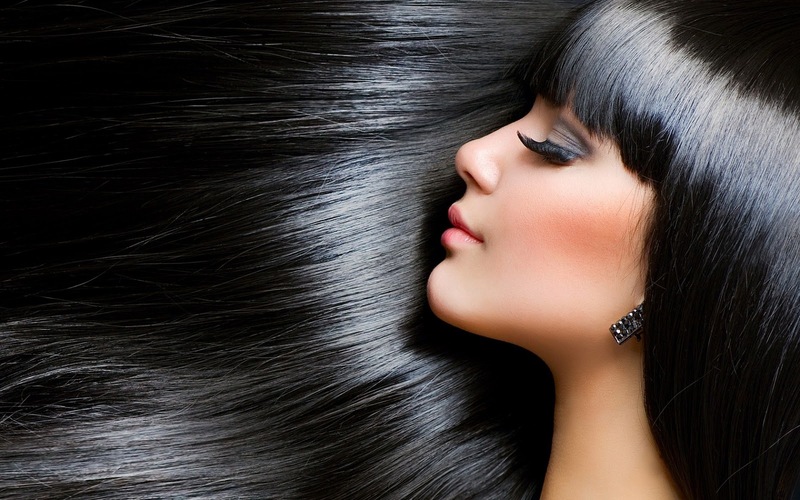 When the word HAIR comes to our mind we become crazy because we all love long shiny and healthy hair. And having healthy hair is a dream now due to pollution, global warming, use of chemical based products,etc. But we can try to maintain the healthiness of hair to some extent by applying some home remedies.. I have very dry and shoulder length hair. When i was in college i realised that my hair lost their healthiness and i faced hairfall problem. Then i searched some home remedies (as natural treatment is better than chemical based)) to solved that issue a little. And today i am going to share some of them which i have tried for my hair. Egg is a natural source of protein. If you are a non-vegetarian then egg may be a best choice for your hair. i) Egg and Honey Hair Pack: Take one or two egg white (as per your length of hair) and add 1tbs pure honey (here egg and honey ratio is 1:1) and mix well by a spoon . Then apply it on clean hair and keep for 15-20minutes. Then wash with mild shampoo and conditioner. This makes your hair smooth and shiny. You can try it once a weak . ii) Egg ,banana and olive oil hair pack: Take one egg white, one banana, 1tsp olive oil and mix them properly. You can use mixer for this. Then apply it on clean hair and keep it for 20minutes. Then wash your hair with your favourite shampoo. It is a little difficult to wash banana ,be gentle while wash .
With the regular use of this hair pack your hair becomes smooth and bouncy. iii) Egg,curd,honey and coconut oil hair pack: Take one egg white, 1tsp fresh curd, 1tsp honey and 5-6 drops coconut oil and mix well . Then apply on clean hair and keep for 15-20 minutes and wash. This pack makes your hair more shiny and bouncy. Incase of curd you also can use lemon juice. We all aware of the importance of hibiscus tree. Its flower,leaf and stem ,everything is a rich source of nutrients and these are too good for hair as well. For this pack take one hibiscus flower and a bunch of leaves and grind it properly to make a smooth paste then apply it on clean hair and keep for 20 minutes. Then wash with your shampoo. You can add coconut oil or olive oil or honey to it for better result. Soak 2-3 tsp fenugreek seeds overnight and in the morning add 2-3 tsp fresh curd to it and grind well . Then apply this paste on clean hair and keep for 10-15 minutes and wash thoroughly. It adds more volume to your hair and makes smooth also. 4- Cucumber Hair Pack: Made a fine paste of one cucumber and apply it on clean hair and keep for 15minutes . Then wash with warm water . It is best for dry and fizzy hair. 5- Carrot Hair Pack: Apply one cup of carrot paste on clean hair and keep for 15minutes. Then wash with cold water. It is best for oily hair or scalp. 6- Coconut and Honey Hair Pack: Take 3-4 tsp of pure honey and add 5-6 drops of coconut oil into it and mix well . Then apply it on hair and wash after 15minutes. This one is a good treatment for dry and rough hair. You can apply this 2-3times a weak or each time before hair wash.
7- Gram Flour Hair Pack: Soak 3-4tsp gram flour overnight and grind it on the next morning Then mix to it one egg white, 1tsp lemon juice , 2tsp. fresh curd and mix well . Then apply on hair and keep for half an hour and wash properly. You can use it once a weak for better result. Peel one big potato and grate finely. Then squeeze juice from the grated potato into a bowl. Then add 1tsp aloevera gel and honey to it and mix well. Then apply it on the hair roots and massage for some minutes and leave for more 2hours.Then wash off with lukewarm water. Use twice a weak for better result. Add 2tsp of honey into a cup of raw milk and mix well. Then apply onto the hair and massage from the root to tip very gently and wash after 30min. It is very good for dry and fizzy hair. Strawberry is a rich source of antioxidants which is good for our body. Take 1 cup of strawberry puree and add 1 egg yolk, 1tsp olive oil into it and blend well. Then apply it on hair and keep for half an hour and wash with lukewarm water with a mild shampoo. These are the 10 hair packs which can made at home and best for getting healthy and shiny hair. Hope this post will help you . Do share your thoughts in the comment below.